Congratulations on your admission to Saint Mary’s College! We are thrilled to welcome you to the Saint Mary’s community. Here are your next steps to prepare you for life at Saint Mary’s. If you have any questions, contact your admission counselor. Pay your enrollment and/or housing deposits* online. Can’t pay electronically? Print this form and mail it in with a check or money order. Join the Class of 2023 Facebook page! *The enrollment deposit is $400. If you plan to live on campus, $200 covers your residence hall security deposit, and $200 will be credited to your tuition bill. If you plan to live off campus, with family, the entire $400 is credited to your tuition bill. Set up your Saint Mary’s email account. Follow the instructions in the email you received from ResNet@saintmarys.edu. Complete your housing application once it's available. Watch your new Saint Mary's email account for a message from eRezLife that will tell you everything you need to know about the housing process. Complete your health form when you receive it in June 2019. Stay tuned for more information about Belles Beginnings (fall orientation), which begins on August 22! Start packing! Here is a list to help you get started. It’s your time to change the world, and experience your own amazing changes while you’re at it. 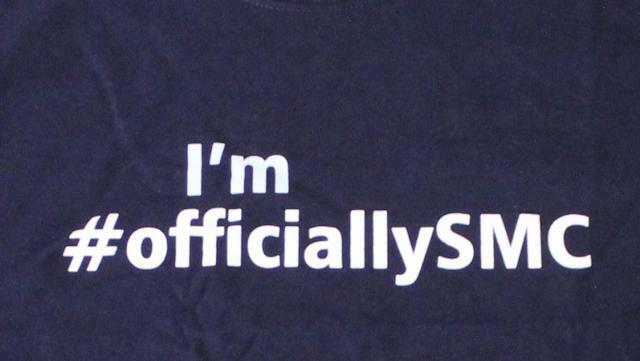 We can’t wait to officially welcome you to the Saint Mary’s family!